United Capital Funding Corp. http://www.ucfunding.com, the leading provider of professional Accounts Receivable based funding and credit management solutions in the United States, announced today that it had very strong client funding levels for the year ended December 31, 2013. 'Since our formation in 1997, United Capital Funding has strived to make a difference in the lives of our clients by providing cost effective, value added working capital and Accounts Receivable Management services nationwide,' noted Mark Mandula. “Since our formation in 1997, United Capital Funding has strived to make a difference in the lives of our clients by providing cost effective, value added working capital and Accounts Receivable Management services nationwide,” noted Mark Mandula, Managing Partner of United. “Our success at United Capital Funding has been due in large measure to the amazing team of partners and employees that serve our clients efficiently and professionally every single day of the business week,” Mandula also noted. United Capital Funding also recently announced that over the past 15 years it has [along with employees of United] have contributed in excess of $400,000 in support of local, regional, national and global nonprofit organizations. In addition to these direct financial contributions, United has also made significant pro bono contributions of time for numerous local charities. United Capital Funding Corporation provides Intelligent Working Capital via factoring, credit insurance coverage and efficient Accounts Receivable management solutions to clients nationwide. These professional services allow clients to strengthen their cash flow, streamline internal operations and assist them in competing successfully in the current challenging economic environment. United recently exceeded $2 Billion in funded and managed relationships since its formation in 1997. Starting with a single Florida based client, United Capital Funding now serves clients in 29 states, and is based in Tampa Bay, Florida. United also has a regional offices in Nashville, Tennessee and Charlotte, North Carolina. 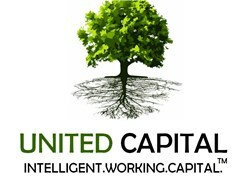 United Capital Funding is the fiscally savvy alternative for healthy companies in the staffing, government, manufacturing, service, distribution, technology and professional services sectors looking to profit from the flexibility and speed of partnering with a privately held, well capitalized source. A partnership with United Capital Funding Corp. results in a client gaining monetary as well as back room efficiencies to better compete in the current very competitive economic environment. Additional information on the specialized business financial services provided by United, including factoring, Accounts Receivable management, and working capital are available online at their website: http://www.ucfunding.com.